Online Business. In the discussion of the business opportunity this time, I will discuss about the E-Book. Where lately from personal observations result, more and more sites that sell e-books on the internet. It would be nice, before us leads to the topic, the better we get to know in advance, what is E-Book? E-book is short for Electronic Book or electronic books. 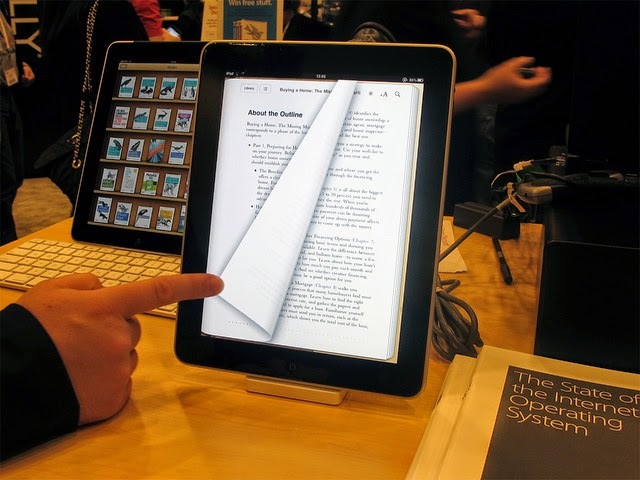 E-book is a new form from regular book that can be opened electronically via computer. E-book is in the form of files with various formats, there is a pdf (portable document format) that can be opened with Acrobat Reader or the like. There is also that the shape htm format, which can be opened by browsing the internet explorer or offline. There is also a form of exe format. In most e-book using the form pdf format. Because it is easier to use it and easy to process security. To open it in your computer must exist Acrobat Readernya, if no, you can download it or look for a program in the PC CD rental program, will be very easy. How to open an e-book is very easy. You can download the program ( Acrobat Reader 5.0 and WinZip 8.0 ) at various sites, such as www.download.com. You can run Acrobat Reader program files in your computer, then open the browser and find the location of your e-book file, in the folder where you saved. 1. Of course, you are required to have a website / blog, if you do not have make it in advance. 2. Once you have a site / blog, create your website is as attractive as possible. 3. Try to determine the topic of the E-Book you want to sell, whether E-Book about health topic, tips about blogging, or also novel perhaps. Try not to use too many topics. 4. In making the E-Book, you are required to be able to write, like a book author. The more original content of the E-Book us, the better of course. 5. As usual, do promotion wherever it is. In the forum, on facebook, on twitter, or spend a little capital to advertise selling E-Book we are to sites Advertise Services. 6. If you dont have blog or website to sell your e-book, you are able to use another selling service like ebay or amazon, remember there are billions internet user out there as potentially buyers. This business requires persistence, because you should be able to write like an author. That if the E-Book that you want to sell is your own original work. But to sell the E-Book work of other writer is not a problem. As long as you do not infringe the copyright of the E-Book. In fact, lately also increasingly often I meet the bloggers who have expertise in writing a novel, sold the novel in the form of E-Book. They said, "rather than hard penetrating book publishers, better sale them online." Well, especially for you my friends who have talent in writing a novel or the other. Okay, make the E-Book now and earn money to fight hunger! !